You've got it wrong, Mr. Musk. And hey -- get at me next time. Another week, another perplexing Twitter tirade from Tesla Inc. (TSLA - Get Report) CEO Elon Musk that should unnerve investors. This time, Musk traded in sell-side analyst targets for journalists. In a series of tweets into the evening hours Wednesday, Musk proposed the creation of a website he would call "Pravda," a media credibility ranking site that would allow the public to score journalists for their truthfulness. Musk continued, crusading for the democratic need of a free and fair press while also criticizing modern day "media." He scolded reporters for writing specific points-of-views for specific audiences, then flat out said the media should ask for support because they have the platform. He also said journalists should write articles persuading their audience against Pravda. While Musk's unclear motivation arguably illustrates the ethos of a man in need of some sleep, one of his bigger issues is that he thinks all "media" are the same. This is unequivocally wrong. To classify all journalists, reprehensible or not, into one "media" pile would be like grouping a junkyard jalopy with a Model X. There are bad ones out there, but just because they don't fit Musk's definition of what's good doesn't mean they're not good cars (or professional writers, in this case). To Musk, the issue is that Tesla's rivals are advertisers on media sites, and that's what drives the "media" to write about Tesla's shortcomings. 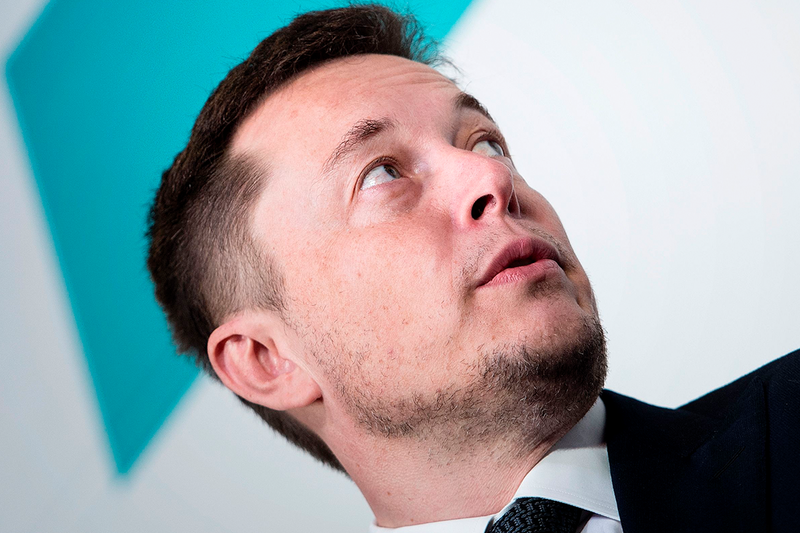 "As for what's behind Musk's flawed perception, I think it goes back to the science showing that when a person gets a performance review that is 90% positive, the person will often fixate on the 10%," said Lou Hoffman, CEO of global communications consultancy the Hoffman Agency. Perhaps the bigger issue here is that Elon Musk, 46 years old and worth a reported $18.8 billion, still thinks that anyone who disagrees with him is inherently a liar. "The news media should not be treated as sacred cows and I have no problem with corporate leaders taking the news industry to task," said Jeffrey McCall, professor of media studies at DePauw University. "The problem in this case is that Musk appears to just be responding to recent negative news coverage about him and his operations ... His current attack on the media comes off as rather self-serving and defensive." Musk said he would want Pravda bot-proof, but given the passionate ways in which Musk's fans come to his defense both online and offline, it's hard to believe that any story that offered a bearish view on Tesla, regardless of inherent truth, would do well. "[Musk's] proposed system sounds like creating a space for random rants and venting. In a sense, the marketplace already allows news consumers to vote with their eyeballs and clicks, so in a sense, we already have a public evaluation system in place," McCall said. What's more, Musk said in a now-famous Rolling Stone piece that his detractors were "jerks who want us to die." Where's the impartiality in that, Mr. Musk? Part of running a public company -- and of being the kind of high profile who also dates actresses and singers and attends the Met Gala -- is having people who don't agree with you. "While there are studies that show there can be benefits in corporate leaders speaking out for causes and issues they're passionate about, Musk's rant was clearly petty, defensive and self-serving," said Brian Hart, president of PR agency Flackable. "A bad look for a business leader with an otherwise stellar brand." A bit more from that Rolling Stone interview: "They're constantly trying to make up false rumors and amplify any negative rumors. It's a really big incentive to lie and attack my integrity. It's really awful. It's..." He trails off, as he often does when preoccupied by a thought. I try to help: "Unethical?" "It's..." He shakes his head and struggles for the right word, then says softly, "Hurtful." But we journalists can rest easy for now, at least. Musk told Gizmodo via Twitter DM that he wouldn't start working on Pravda until after he's "done working on the Model 3." At this rate, that'll probably be a while. For the record: Tesla's stock is down 13% this year.